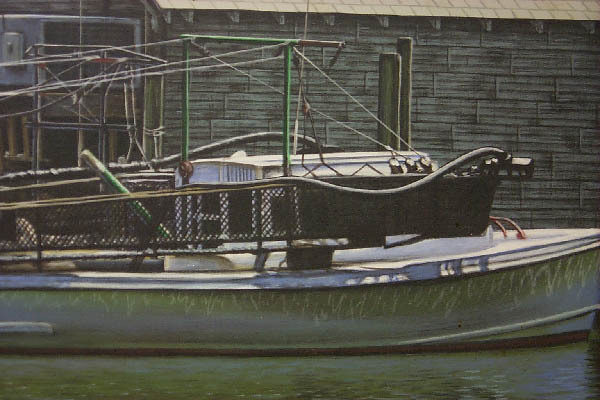 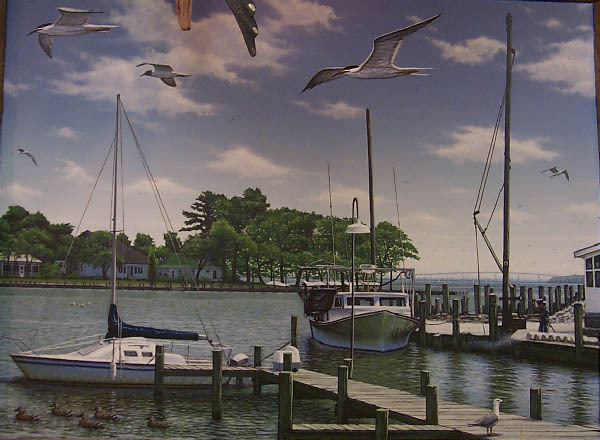 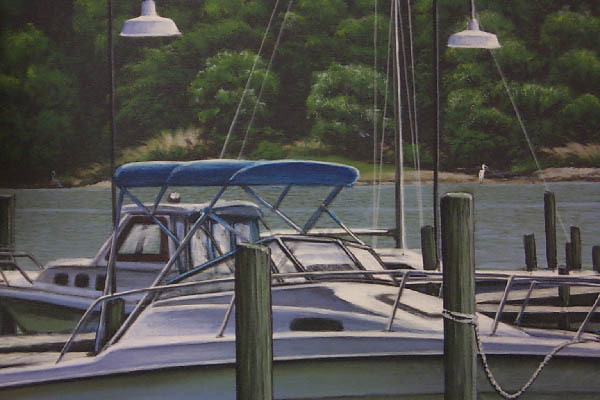 This mural was commissioned by Stoney's Seafood Restaurant in Prince Frederick, Maryland. 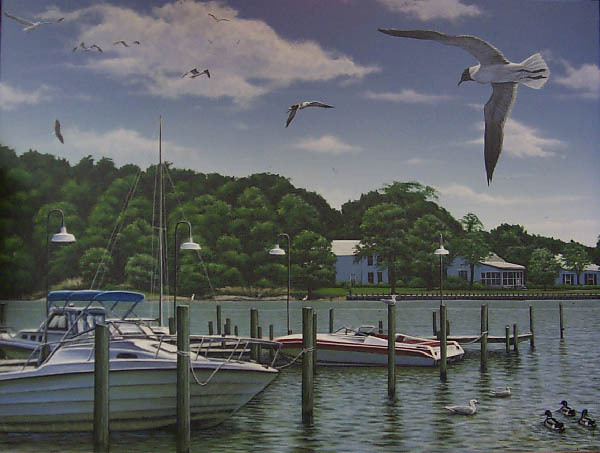 It consists of three panels of acrylic on canvas stretched over panels totalling 4' x 17'. 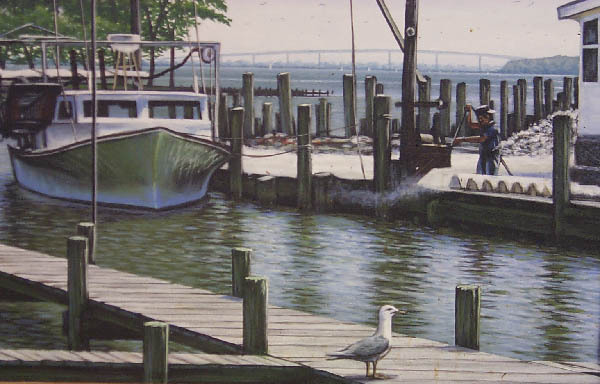 The idea was to recreate the view looking down the Patuxent River from the original Stoney's Restaurant in Broomes Island, Maryland. 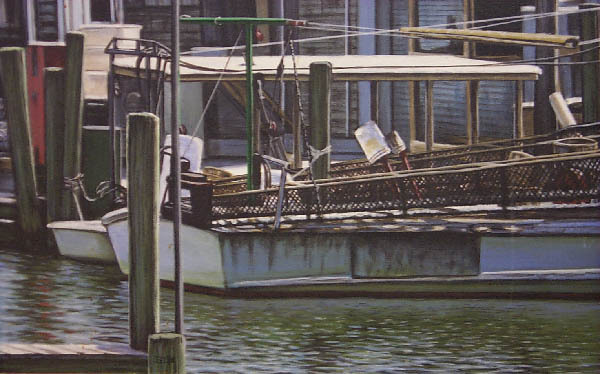 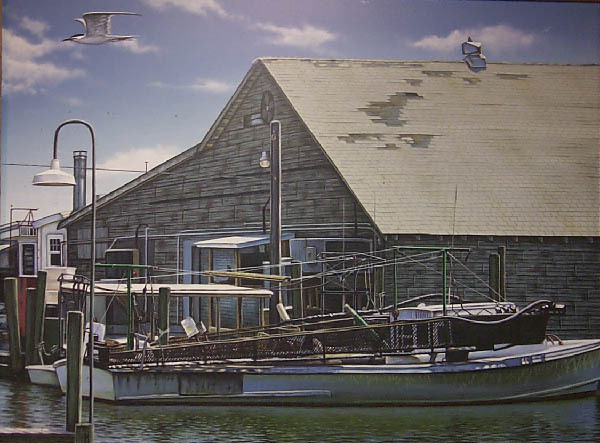 I also created a copy of this mural for the Broomes Island location since the oyster house in the image has been torn down due to the damage from hurricane Isabel.